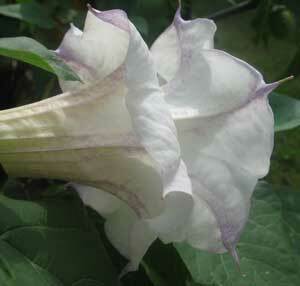 This is Datura metel Ballerina Double Lavender Tipped. 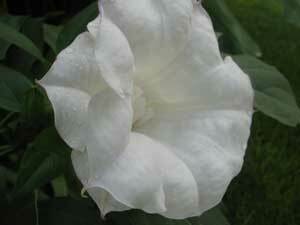 This gorgeous blossom is a double and the flowers have purple tips only and the rest of the bloom is white. 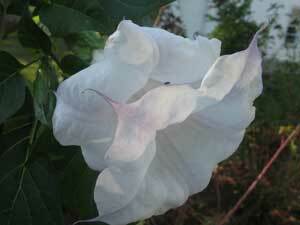 This is the larval host plant for the Pink-spotted Hawkmoth. 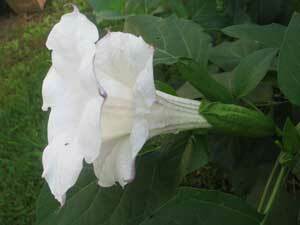 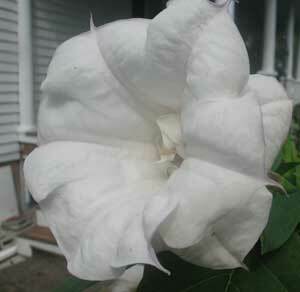 Datura metel is grown all over as an Annual plant and it is a tender perennial in USDA Hardiness Zones 9 to 10.